Just got the new book. Its a follow on to the first book “Transition Handbook” (which was more about why the Transition movement came into being). 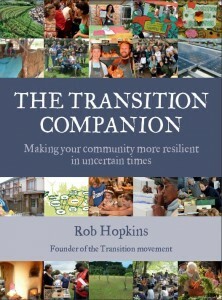 The Transition Companion has lots of examples and things like how different groups work and may be a good “companion” to the transition 2 film of which we have a copy circulating. If any one else is reading then post a comment so we can share views.